Building Functional Communities with Bryan Hunter @ .NET Rocks! that Ruby programming language got attention an popularity after a book by Dave Thomas (of Agile Manifesto and Pragmatic Programmer fame). Now, he wrote a book about brand new language that is just getting to version 1.0. It is not only Apple, Google, Microsoft inventing new programming languages. that runs on HHVM, same JIT compiler used for PHP. It is developed and used by Facebook. "Yesterday, there was a wall of Tesla patents in the lobby of our Palo Alto headquarters. That is no longer the case. They have been removed, in the spirit of the open source movement, for the advancement of electric vehicle technology." "...receiving a patent really just meant that you bought a lottery ticket to a lawsuit..."
"We believe that Tesla, other companies making electric cars, and the world would all benefit from a common, rapidly-evolving technology platform. 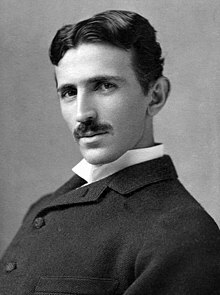 This move is in the spirit of Nikola Tesla, whose name Tesla Motors is using. to be able to sustain market competition and advance deployment of electricity. And where is Neo4j ? "Katana project (katanaproject.codeplex.com) and the specifications provided by OWIN (owin.org), it’s now possible to self-host Web applications, taking IIS out of the equation, and still support many of the ubiquitous ASP.NET components such as WebApi and SignalR. The Web self-host can be embedded in a rudimentary console application along with Topshelf (topshelf-project.com) to create a Windows service with ease. As a result, Web and service components can live side-by-side in the same process,"